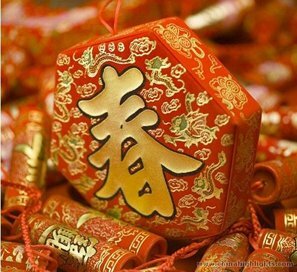 Chinese New Year is a time for giving; whether in the form of the popular, traditional red packet filled with money (红包 hóngbāo); or in the form of other, material goods. But beware, even the most generous offering can be tainted if you show bad etiquette when giving a gift. 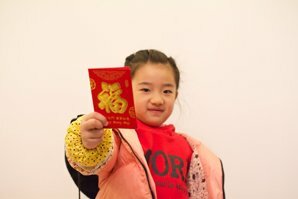 There are some basic rules to follow when selecting and giving a gift at any time of the year, but this is especially true at Chinese New Year. 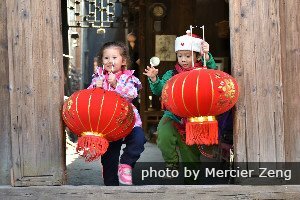 The act of giving during the Chinese New Year holidays is as much, if not more, about passing on good wishes and luck for the coming year as it is about the exchange of material goods or cash. 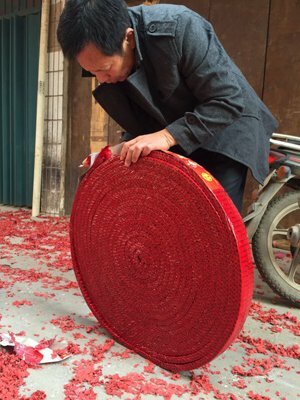 When giving a gift at Chinese New Year pay close attention to the color of the gift as well as the wrapping paper or bag in which it is delivered. The rules are simple; avoid white, as it is associated with funerals; and black or blue, as their are both synonymous with death. The best choices are red, yellow and gold as they all symbolize wealth and prosperity. If you are buying money packets for Chinese New Year don&apos;t be mistaken into buying white envelopes for as they are used to give money at funerals. Another thing to consider when planning gifts is Chinese superstition surrounding specific numbers. Never give a monetary amount that includes a four as the pronunciation of 四 (four) is very close to 死 (death). Besides four, most other even numbers are a safe choice. 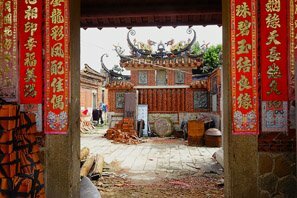 The luckiest number in China is eight so a number like 88 is an ideal amount to give. In addition to money, these rule can also be followed when it come to giving goods. A set of four gifts should be avoided; whereas a set of eight is considered to bring luck. Click to see Lucky Numbers and Colors in Chinese Culture. Once you have settled on an appropriate goods or a sum of money to give, there are a couple of rules to follow when actually giving (or receiving) a gift. 1. When giving or receiving a gift always use two hands. This is a custom traditionally extended to the giving of things like money (when buying something) and business cards. It is an important part of gift-giving etiquette across the country as it shows respect and appreciation towards the act and the giver. 2. When giving money ensure it is crisp and new. 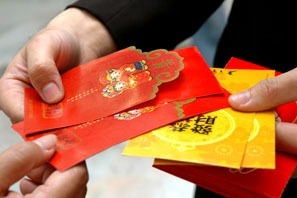 People across China will spend the weeks preceding Chinese New Year withdrawing crisp notes from the bank. It is considered a sign of disrespect to give old or torn notes. 3. A lways start by presenting a gift to the oldest (or most senior) member if giving money to a large group or whole family. 4. It is considered bad form to receive a gift and open it immediately in front of the giver. The person receiving the gift will likely express their thanks before putting the gift aside to open in private later; don&apos;t take this as a sign of the receiver not showing gratitude or respect. It is expected that if you are receiving a gift you will do the same; put it to one side and open it at a later point.